As Christians, we are called to love and serve the neighbor. The question posed in Luke 10:29— “Who is my neighbor?”—has been one the ELCA has explored since its founding in 1988. In an increasingly diverse America, neighbors aren’t always Christian. “The Scriptures don’t specify what that neighbor’s ethnic background is. I think that’s intentional,” said Kathryn Lohre, assistant to the ELCA presiding bishop and executive for ecumenical and interreligious relations. In explaining that commandment, Luther wrote: “We are to fear and love God, so that we do not tell lies about our neighbors, betray or slander them, or destroy their reputations. Instead we are to come to their defense, speak well of them, and interpret everything they do in the best possible light” (Small Catechism). 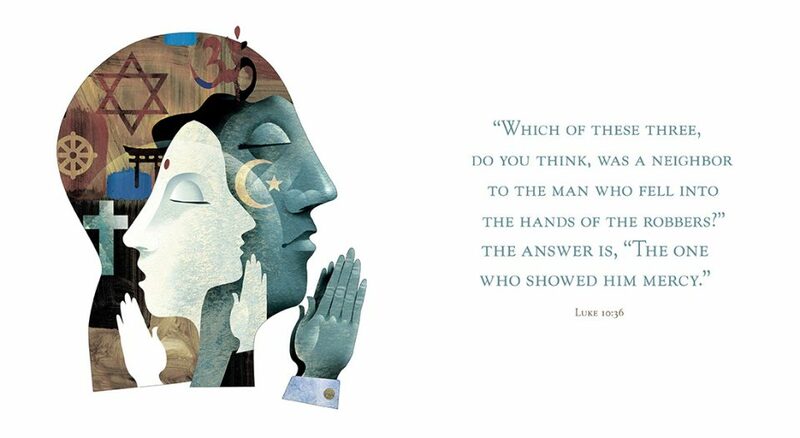 This has been the basis for the ELCA’s interreligious work over the last three decades. Soon after its formation, the ELCA recognized non-Christians as neighbors by establishing the ELCA Consultative Panel on Lutheran-Jewish Relations. In 1994 the ELCA was the first Lutheran denomination to apologize to the Jewish people and repudiate Luther’s anti-Semitic writings from 1543. In 2008, in response to an open letter from Muslim leaders looking for common ground and understanding with Christians, the ELCA Consultative Panel on Lutheran-Muslim Relations was formed. This year the church has reflected deeply on how to continue to serve Muslim and Jewish neighbors. In January, President Donald Trump attempted to restrict entry of refugees and visitors from predominantly Muslim countries into the U.S. A month later there were attacks on Jewish cemeteries in Missouri and Pennsylvania, and threats of violence against 13 Jewish community centers across the country. Eaton also appointed the ELCA Interreligious Task Force in 2016 to develop a draft interreligious policy statement that is slated to be presented to the 2019 ELCA Churchwide Assembly. Bussie has led Concordia students in interreligious service projects as part of Better Together, a division of the Interfaith Youth Core. In 2004, Muslims joined to form an ummah, or worshiping community, in a north suburb of Pittsburgh. While the ummah saved money to build a community center, they approached several local churches to request the use of their space for Friday midday prayers and daily prayers during Ramadan. 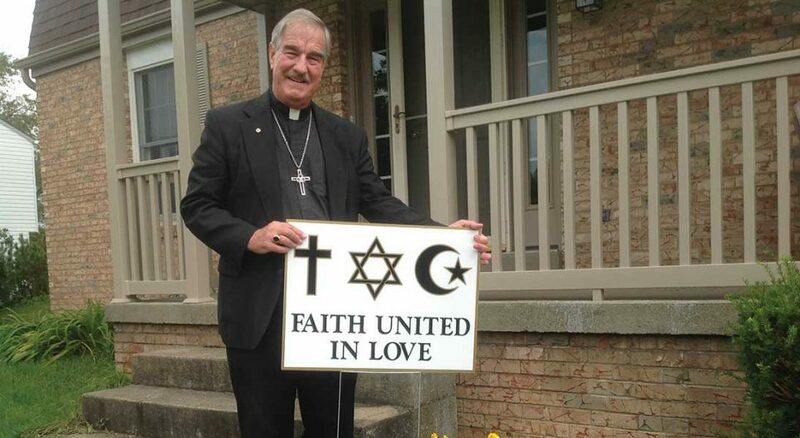 They were consistently turned down until they went to Trinity Evangelical Lutheran Church in Wexford, Pa.
Unbeknownst to the ummah, Fred Schenker, then pastor of Trinity, had participated in the Abrahamic Initiative of the Chautauqua Institute, where he learned about the commonalities of Christianity and Islam. “You read in the Quran that ‘no one of you is a believer until he desires for his brother that which he desires for himself.’ To me, that’s pretty close to the golden rule,” he said. After a discussion with Trinity’s council based on what he’d learned at Chautauqua, a majority agreed to let the ummah use their fellowship hall. In return, the Muslims invited Trinity to join them for iftar, the meal when Muslims end their Ramadan fast. They also helped on church cleanup days. Though some within the congregation worried that they wouldn’t be safe if they were accepting of the Muslim community, the opposite happened. They became protective of each other. Though the Muslim community now has their own community center, they continue the tradition of an interreligious iftar. In 2016 more than 200 people attended, professing a communal desire for peace. Scottie Lloyd had an unusual job. He was the first Army chaplain tasked with developing relationships with religious leaders in another country, and he was given a wide berth of 27 from which to choose. Lloyd chose Jordan because of its strong military chaplaincy program and its connection to Mecca and Medina, two holy sites for the Islamic faith. After some cajoling, the Jordanian chaplains allowed a visit from five American counterparts, including one of only six Muslim chaplains in the U.S. Army and Lloyd, an ELCA pastor. Through conversations and trips together around Jordan, the group began finding common ground while discussing how they could promote peace in dangerous situations. Lloyd and his fellow chaplains were careful not to say or do anything to offend the muftis, or Islamic scholars. They also didn’t share any passages from the New Testament in conversation. But when the tables were turned and the Jordanians made two visits with the American chaplains in the U.S., the muftis noticed. “We have not held back from our faith. We are who we are, and we are not ashamed of it. Why are you doing this? It’s almost as if you’re ashamed of it,” Lloyd recalled a mufti saying. It was a moment of humility for Lloyd. He then read them the Beatitudes. At the last meeting between the two groups of chaplains, a mufti shared how his mind and heart had been changed through the relationship. “There are voices saying that you are a godless people who only care for yourselves. These voices are wrong. … We will help still these violent voices with the truth,” Lloyd remembered the mufti saying. Lloyd now serves Lutheran Church of Our Savior in San Bernardino, Calif. When Islamic extremists opened fire on a Christmas party in the city in 2015, killing 14 people, he did what the mufti promised him on behalf of Muslims. “Whether from the pulpit or from other opportunities, I’ve tried to speak out publicly to inform [others about] the true aspects of Islam,” Lloyd said. In 2009 swastikas were spray-painted and shrubbery was set on fire at a synagogue in Sacramento, Calif. It was prosecuted as a hate crime and it shook up the Jewish community in northern California. The following year the rabbi at Congregation Beth Israel in Chico, Calif., asked members of nearby Faith Lutheran Church if they would stand as shomrim (guardians) while they observed Yom Kippur, the Jewish day of atonement. What began was a friendship between the two congregations that has lasted even after the original rabbi and pastor moved elsewhere. Ben Colahan, pastor of Faith, and Sara Abrams, rabbi of Beth Israel, have been at their posts for less than a year, but they’ve already had joint events. They will celebrate Pentecost and Shavuot together as a creative way to discuss immigration. The traditional activity during Shavuot is to read the book of Ruth, which is the story of an immigrant woman who cares for her mother-in-law after they become widows. “Since Pentecost celebrates the different languages of the world, it’s also a time for the church to think about how they serve people beyond their ethnic and linguistic borders,” Colahan said. This year threats against Jewish communities in Northern California escalated again. 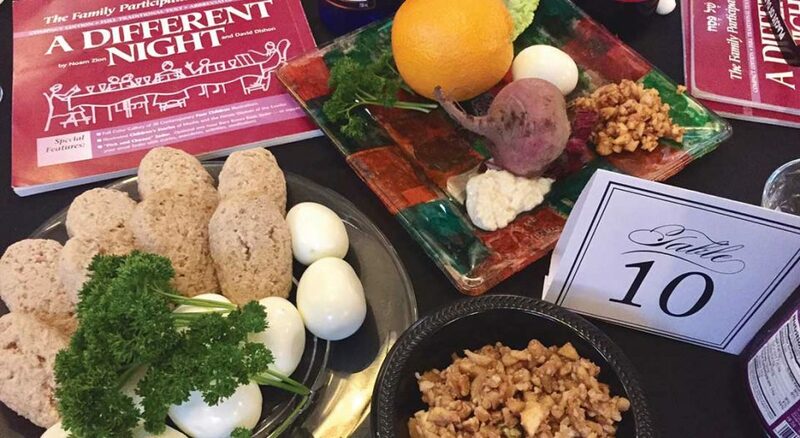 Congregation Beth Israel invited Faith members back, not only to protect their synagogue during Passover but to join them in their seder. 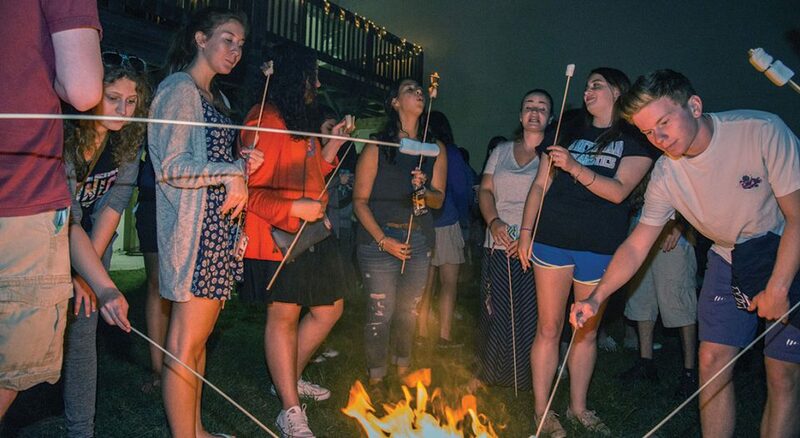 Muhlenberg College in Allentown, Pa., is known for its pre-med, pre-law and theater programs, and one other thing—it has more Jewish students than Duke, Princeton, Georgetown or Johns Hopkins. Nearly 30 percent of Muhlenberg’s 2,300 students identify as Jewish. “In the 1930s when a lot of colleges in the U.S. were limiting Jewish students using quotas, Muhlenberg never had a quota,” said Darrell Jodock, founder of the Institute for Jewish-Christian Understanding at Muhlenberg and a member of the ELCA Interreligious Task Force. The campus became known as a haven for Jewish students. Today the campus serves as a sort of interreligious laboratory. The chaplain’s office coordinates a student group called Interfaith Leadership Council, which meets regularly for interreligious dialogue. They also plan programs for the greater college community, such as “Speed Faithing,” which is like speed dating but for questions to learn more about someone’s religion. During two weeks in April, the campus celebrated Holi (the Hindu festival of colors and love), Passover, Maundy Thursday, Good Friday and Easter, and held a panel discussion on women in religion. Read “Drawing a diverse future,” a related story on Sarah Harrison, a member of Good Shepherd Lutheran, Monroe, Conn., who won a “Doodle 4 Google” contest with a drawing that shows friendship in diversity. Case study material for this article was drawn from Engaging Others, Knowing Ourselves – A Lutheran Calling in a Multi-Religious World. We share a world with people who hold beliefs that are different from ours. This simple truth has been apparent from the beginning of history, and yet humanity has never learned how to live together with complete harmony and respect. And things have gotten more tense in recent years. But Lutherans are helping lead the way through our Interreligious Task Force, which is working to present a draft interreligious policy statement at the 2019 Churchwide Assembly. Anticipating that statement, how might we all work for better relations with those of different faiths?